Click on image for full size photo - Example: Compare Grade 1 against Grade 6 - see the difference. The difference between Grade 1 through Grade 6 is between $800 and $3,000 for models shown. Difference in the touch is noticeable between Grade 1 -2-3 and 4-5-6. Biggest difference was in furniture styling and finish. One important consideration is the amount of dealer preparation the instrument is even placed on the showroom floor. This can add as much as $300 to the price of the piano, worth the cost and will add years of use to the instrument. An important difference between these pianos is the amount of time spent in assembling the various parts into the case and bringing individual instruments up to their final tone quality. Pianos manufactured in this traditional manner may take from nine months to a year to put on the finishing touches. New verticals will of this kind generally run about $3000 more depending on the style and finish. Every piano has a individual character of its own as well. This pedigree that sets it apart, even from instruments of the same make and style, is inevitable. No two trees ever grow exactly alike. Grains and densities differ between species and between individual trees of the same species. Plastics used in the keys differ in color by different batches. Wool, from which hammer and damper felts are made, vary in texture and length of fiber. Variations are present in all materials from which pianos are made. 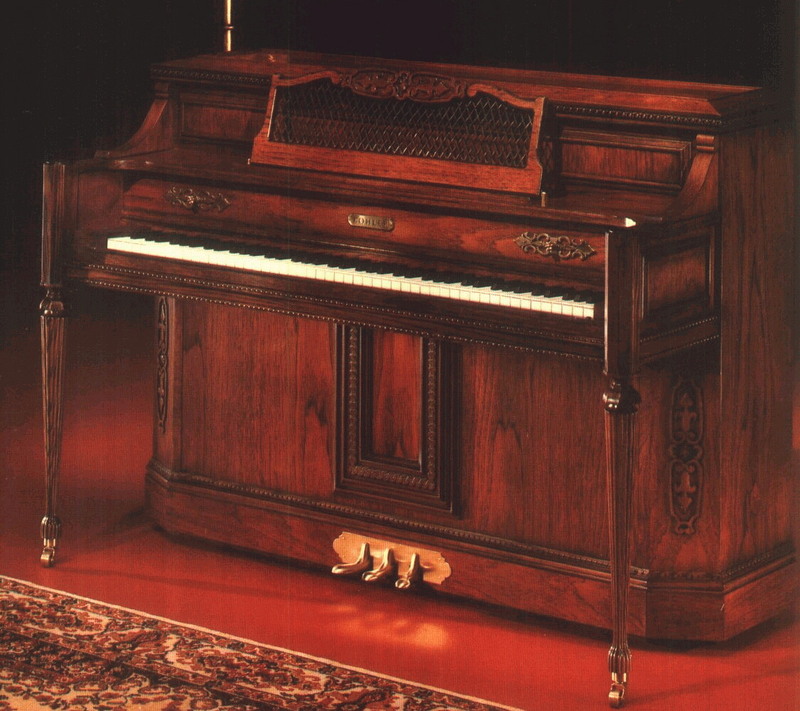 Some manufactures signify the difference in market share or 'price point' pianos with different model numbers Yamaha makes the same quality of musical instrument with different cabinetry while Baldwin uses different brand names example: Howard, Hamilton, Acrosonic, Ellington, Monarch and so on. Each model number or brand name is a market share or "price point" that is with more or less features than other models by the same manufacturer. Some of the pianos are larger, smaller, fancy and plain. You can see difference from across the room. But when you go to sell your piano or trade it in, the only way is by knowing which piano is best and what features offer benefits that absolutely makes it a better piano and worth more.